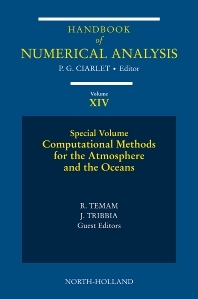 This book provides a survey of the frontiers of research in the numerical modeling and mathematical analysis used in the study of the atmosphere and oceans. The details of the current practices in global atmospheric and ocean models, the assimilation of observational data into such models and the numerical techniques used in theoretical analysis of the atmosphere and ocean are among the topics covered. This compilation is ideal for graduate students and researchers alike: Physical Sciences and Engineering, Numerical Methods in Engineering, Numerical Analysis, Applied Mathematics.